Join kids and adults that love flying kites for a day of fun at the Coyner Springs Kite Fly from 10 am to 3 pm. You can bring your own kite and fly it over the wide open space. If you forget to bring one, or don’t have one, do not fret. They will be giving away over 300 kites. Some kite clubs will also be around performing some cool stunt moves and using ballet kits. Let’s hope the wind is great. There will be kite decorating and a decoration contest, bow kite races, pumpkin patch and pumpkin decorating. Horse rides will also be available. Saturday, Oct. 5th the museum will host the annual Oktoberfest gathering from 12 pm to 5 pm. 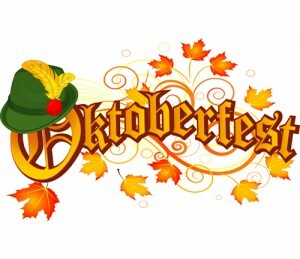 There will be German food, traditional music, fun German farm games and of course, German Beer! The Frontier Culture Museum tells the stories of the people and generations that migrated to colonial America and the life that they lived. Some of the exhibits depict what life was like on a 1600’s English farm very much like the farms that were established during European colonization. Enjoy the crisp fall temps and head out to the Fall Foliage 5K and 10K races. There will also be a Kids Fun Dash for the younger runners. The kids half mile begins at 8 am on Saturday, and the 10K and 5K Run/Fun Walks begin at 8:30 am. The art festival will take place over the course of Saturday and Sunday. Saturday from 10 am to 5 pm and Sunday from 12 pm to 5 pm. Check out great art and sample regional gourmet foods, craft beers and fantastic local music. Admission to the festival is free, but you must register for the races if you wish to participate. There will be some 150 artist from all over the country at the festival. From 3 pm to 7 pm you can take part in the pumpkin carving contest at Blue Mountain Brewery on Oct. 21st. Have fun carving, play games and enjoy live music. Blue Mountain Brewery is known as ‘Nelson County’s original craft brewery’ and is a leader in the craft beer industry across the state. They also feature a full menu at their brewery restaurant and brewpub located in Afton. The brewery is also open for tours. Ready to escape this fall? Cabin Creekwood features the most perfect cabins in VA, located at Sherando Lake. These Blue Ridge Cabin Rentals located in Virginia’s Shenandoah Valley are pet friendly (not all), and come with a children’s play area outside, and all are fully furnished. Enjoy some peace and quiet with those that you love the most.